As the title says I am not actually dead, as my last post date of February might have you believe. I have been doing a lot of work for the regular cast of clients, and most of it I can't show until later. I do have something I wanted to mention - I've been working on this project for over a year now, and it will be available later this year, in October. 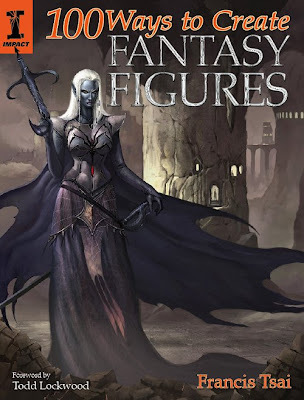 It's a sort of how-to book on designing and illustrating fantasy characters. The publisher, David & Charles, saw some of the material I had been contributing to ImagineFX magazine and they contacted me about putting together a book. This is the first of a set of books. It is available for pre-order now on the amazon.com site here.